A Mexican dinner party isn’t complete without sweets – and buying our churros online will provide the perfect ending to a fun night. How does having a stock of churros sound? Have one, or have many, and enjoy them with a hot chocolate or coffee. You can purchase your churros online in our store, without leaving home! Churros are deep fried fritters, very much like donuts. Being long and thin, they are just right for dessert or snacks. 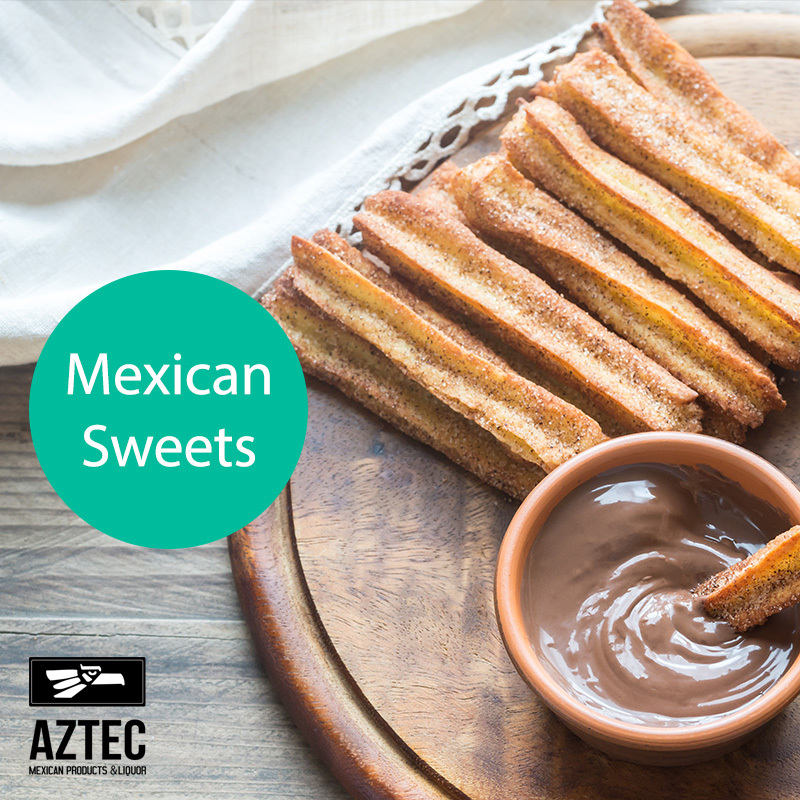 At Aztec Mexican Products and Liquor, we have churros online, available for pickup from our warehouse. How do you like your churros? Are you a fan of chocolate dipping sauces, caramel sauce, or do you prefer yours just as they are? If you are looking for some churros serving inspiration, check out these great ideas! Serve up your churros with an array of dipping sauces, and your guests will be struggling to choose. Add some dark, milk and white chocolate dipping sauce bowls to the platter, as well as some caramel and choc-hazelnut options. The quickest way to add flavour and texture to any milkshake is with handy churros. Once you see our churros online, you’ll understand how they can add simple impact to a comforting, sweet shake. No matter what flavour shake you prefer, churros are a great garnish! Just want to have a few churros-flavoured offerings to accompany drinks? Then chop up your churros into smaller serving sizes, and make your own version of churros popcorn! However you churros, the basic ingredients are the same. Take some churros, add imagination, and you have a fantastic dessert that will get people talking. Aztec Mexican Products and Liquor have a wide selection of groceries and liquor online and in our warehouse. Contact us for more information about our product range, or have a look at our online store for easy ordering.